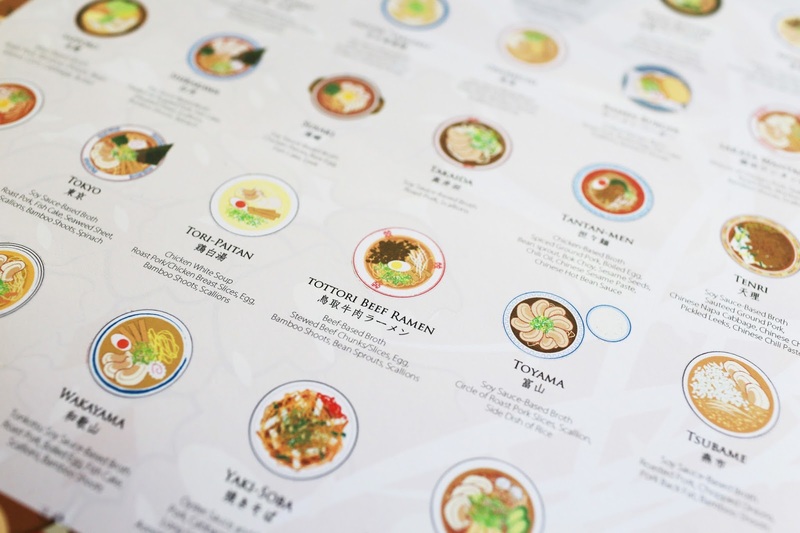 Japanese Foodie: The Ramen Poster 2.0 Launched today! 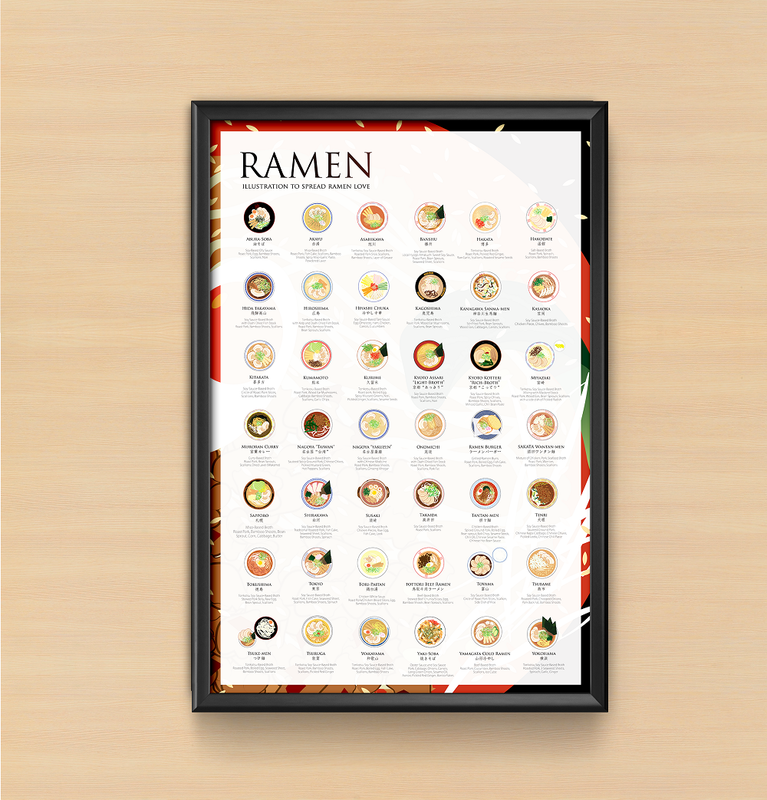 The Ramen Poster 2.0 Launched today! After designing for the first ramen poster, I was exploded to types of ramen that I finally got to try for the first time such as Tori-Paitan (ramen with a rich chicken broth that was made similar to Tonkotsu style) and Ramen Buger. (Grilled ramen buns sandwiching roast pork, scallions, and other ramen toppings) Other than local Japanese ramen, I also want to introduce ramen recipes that have misleading name such as Yakisoba and Aburasoba, both having "soba in their names." Like most people, I thought they are probably soba noodles. (buckwheat) The fun fact is that they are not made with soba noodles; instead, wheat noodle or ramen noodles are typically used for those recipes.